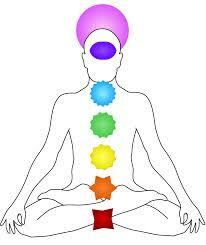 Each one of the Chakras fulfils a variety of roles and has specific functions. Each Chakra usually – though not always – resonates to a particular color when balanced, and needs to be performing correctly for full health in the body. Chakras that are damaged or out of balance can affect not just how we feel, but our levels of vitality and ease. Always take care when working with color and the Chakras, as a badly imbalanced Chakra that has too much of the supposed ‘right’ color infused into it may actually be ‘over-functioning’ and burning itself out. When there is too much of anything, there may be a latent problem. Don’t just assume that because someone has said that a particular Chakra resonates with a certain color that applying that color will fix it, because that may not be true. I have had to repair damage done by people not knowing what they were doing when it comes to using crystals and color. Some people have had their Chakra system so badly affected that it has taken a long time to repair the damage. If you are not sure which color to work with, there are several ‘safe’ colors I can recommend. I will be publishing more on these soon. However, I would suggest that you only work with those who are knowledgeable when it comes to what an individual Chakra may require, as opposed to the ‘usual’ associated color. 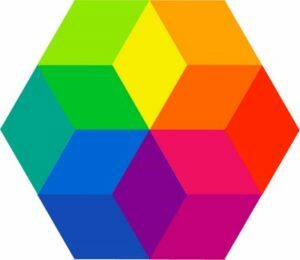 You may care to consult with me if you are able to work with color but are not sure what color is actually required for a particular Chakra at a particular time… Chakras work together, and ‘changing’ one can affect another. I can access and ‘read’ your Chakras personally and give you indications not only as to the correct color, but also as to the possible cause. You can contact me. Or phone. See my Contact Page.